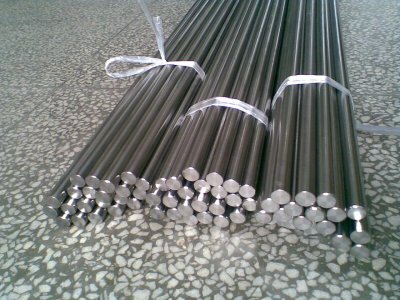 Alloy doped with Nickel and cobalt, has a minimum LCTR. The electrical resistance of the alloy in less than two, compared with Invar. The use of wire, round, rod of this material contributes to the creation of the most durable pressure tight joint with the glass. The production of vacuum junctions of items of electronic equipment with glass С49−1, C52−1, C48−1, С47−1; CTE*1000000 in the temperature range from -70 to +420 ° C not more than 4.5−6.5 [1/ºC]Modern technology of electronics could not operate without the use of alloy 29NK. Manufacturer of meshes radiolampovogo devices, microwave ovens, fabrication of the cathode. Alloy in a wet environment undergoes corrosion, thus there is a need for protective coating. In the manufacture of capacitors, it is covered with a metal with good conductivity — typically silver. All offered products are certified. In the technical documentation included data on chemical composition and set the percentage limits of the additives. Supplier «Electrocentury-steel» supplies wire, round, rod, Kovar® — 1.39812 standard and custom sizes at an affordable price in a optimally short period of time from warehouses in Russia and Ukraine. Price of wire, round, rod, Kovar® — 1.39812 corresponds to the high quality products. Buy a sheet, a tape provider Electrocentury-steel possible at an affordable price. Price sheet, strip alloy is formed on the basis of European standards of production. To by wire, round, rod 29NK — 1.39812 at an affordable price, you can wholesale or retail. Regular customers can take advantage of the discount system of discounts from the company Electrocentury-steel.